There are many good resources regarding sugar plantations, immigrants, Hakalau Plantation and other issues highlighted on this website. The resources we have found most useful are listed below. If you have recommendations for other resources, please contact us! The museum is housed in a old Sugar Plantation Company Store in Papaikou. The volunteer staff are very welcoming and knowledgable about the Sugar industry and how it helped shaped the Big Island. They love to answer questions and have wonderful stories to tell. The old photos and memorabilia are well labeled, and informative. It's a small museum, but worth a stop if you have an interest in the history of Hawaii...and Hakalau Plantation. Sugar Town: Hawaii Plantation Days Remembered by Yasushi "Scotch" Kurisu. "Scotch" Kurisu's book must be the best source for giving us an introduction to the various facets of life in Hakalau during the plantation era, told by someone who lived it all. It is a wonderful book. Published in 1995, it is out of print now so the Amazon link we give you here offers it at a high price. Click book picture below to go to Amazon offer. 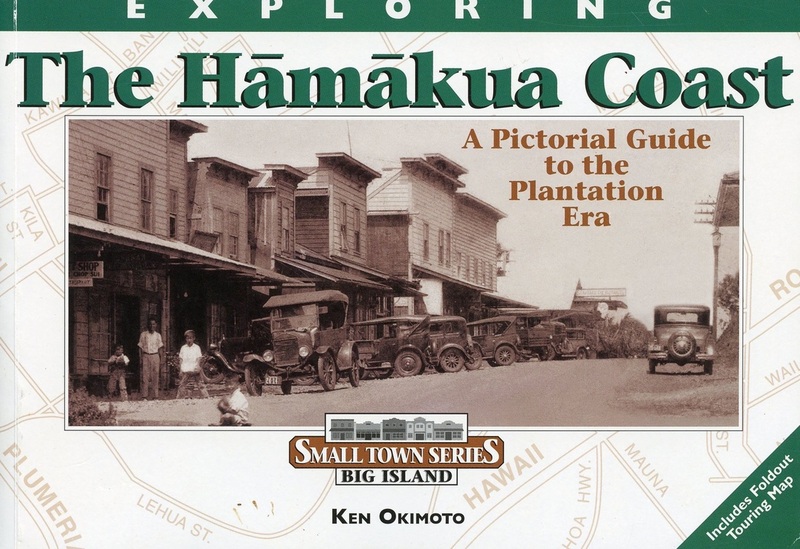 In the days when cane was king, the Big Island's Hamakua Coast was the scenic backdrop for tidy plantation towns, billowing fields and bustling sugar mills. Revist this golden era through the rich anecdotes and rare photographs of this site-by-site guide, featuring 100 archival photographs of businesses, schools, churches, homes and public buildings – many of them rare images never before published. Each of the photos is keyed to a location on a foldout map, providing a unique, hands-on way to explore the historic region. The story of modern Hawaii, particularly from the 1880s to the last quarter of the twentieth century, is really the story of the sugar industry. It is not just a story but an epic history as the industry affected every aspect of Island life, leaving indelible imprints on the social and economic fabric of the Islands while building the foundation on which modern day Hawaii stands. From bullock carts and ox-powered mills to the most efficient plantations in the world, the story of Hawaiian sugar is dramatic, colorful, and panoramic, spanning 165 years. Born on the Big Island just after the turn of the century, T. David Woo enjoyed a unique perspective on Hawai`i's booming plantation era. After earning degrees in Honolulu and Shanghai, he returned to his island of birth to become a "cowboy doctor" at Parker Ranch, physician for the Hakalau Plantation and adjoining communities, and co-founder of the Hilo Medical Group--providing health care for thousands of ranch hands, plantation workers and many other Big Island residents. Through rare photos, rich anecdotes in Dr. Woo's own words and detailed maps of Hakalau's ethnic camps, Plantation Doctor: A Memoir of Hawai`i provides a fascinating look at the days when sugarcane was king. The price will be $20 plus $2.61 for postage. Beginning with the traditional history of the great chief 'Umi and ending with the death of Kamehameha III in 1854, this volume covers the rediscovery of the Hawaiian Islands by Captain James Cook, the consolidation of the Hawaiian Kingdom by Kamehameha I, including the Battle at Hakalau, the coming of missionaries and the changes affecting the kingdom during the first half of the nineteenth century. Originally, this history was written by Kamakau in Hawaiian as a series of newspaper articles in the 1860s and 1870s. The English translation is primarily by Mary Kawena Pakui. It offers more than a record of past events. It presents a scholarly interpretation of those events by a Hawaiian historian writing for Hawaiians about their culture and disappearing customs. Assembling a surprising variety of primary sources and readings, the book depicts the experience of the Japanese Americans in Hawai‘i from the first legendary arrival of shipwrecked sailors to the present. Kodomo no tame ni means “for the sake of the children,” a theme embedded in several different dimensions in the history. First, the book is for the children of Japanese Americans in Hawai‘i. As the progeny of a people and culture that have assimilated and been assimilated by the islands and America itself, these generations need a book like this one to remember their own ethnic past, a past rich by any humanistic standards, but a past that was sometimes the price of acceptance in the present. Roughly, the first half of the book illustrates the struggle of the Japanese plantation laborers to survive, to maintain identity, to form a community in the real sense. Second, the motto answers a question about the deprivations of the early Japanese laborers. “Why did you do it? What made it worth doing?” The Japanese came to Hawai‘i seeking a way out of the poverty or the shame or lack of opportunity they confronted in late nineteenth-century Japan. They found more poverty, long hours of labor, harsh treatment, and no way out for many of them. Here, however, they also lacked the social system and consensus of values that gave such suffering meaning in their homeland. Confronted by many of the problems they thought they had fled and lacking the support system of Japanese culture, many of the isei, or first generation, held on in the hope that things would be better for their children. And they were right.